Hate this? Eat that. How to get the nutrients you need when there are some foods you don’t eat. I’ve never been a picky eater. Even as a child, I gleefully ate yogurt, wheat germ, broccoli...even liverwurst! And that’s a good thing, because eating a wide variety of whole foods is key to good nutrition. But what about people who flat out hate certain foods? Must-Read: Do you need to eat breakfast? Even when you’re not hungry? Are you getting enough of the nutrients your body needs? Unless you’re savvy about the different nutrients in food, you might be missing out. Most Americans are not meeting the recommended intake for several micronutrients, according to the 2010 report from the Dietary Guidelines Advisory Committee (the folks who convene every five years to look at how Americans are eating and tell us how to eat better). The biggest shortfalls? Vitamin D, calcium, potassium and dietary fiber. To make sure you’re not among the nutrient-deficient, check out the following list. Hate the most common food source? Try eating some of the alternatives to meet your needs. How to Get It: Hate salmon? Eat cereal. Not many foods contain vitamin D, the vitamin that helps your body use bone-building calcium and phosphorus and is also touted as having a host of disease-fighting, health-supporting properties, from helping to ward off depression to lowering cancer risk. Many people have turned to supplements to up their vitamin D intake (the Institute of Medicine recently raised its recommendation to 600 IUs/day for everyone ages 1 to 70 and 800 IUs for adults over 70), but if you’re looking to get this nutrient from food (as I am), eat fortified breakfast cereals. Most milk is also fortified with vitamin D and you can find vitamin D-fortified orange juice. Sounds like a D-lightful breakfast for fatty-fish haters! Must-Read: Is vitamin D just a bunch of hype? How to Get It: Hate milk? Eat tofu. Bone-building calcium is richly packed into dairy foods (1 cup of milk delivers 300 mg, while a cup of yogurt provides 450 mg), but you don’t have to drink 3 cups of milk a day to get your daily dose (most women need 1,000 mg/day; those over 50 need 1,200 mg). Tofu prepared with calcium sulfate is a great alternative to milk (1/2 cup packs in 253 mg). Other good sources include broccoli and kale (60-94 mg per cup) and canned sardines (make sure to eat the bones to get about 200 mg per 3-oz. serving). Recipes to Try: Tofu & Broccoli Stir-Fry for a double dose of calcium, and more quick tofu dinners. How to Get It: Hate bananas? Eat sweet potatoes. Although bananas might be the best known potassium source, plenty of other fruits and vegetables fit the bill. A medium baked sweet potato (543 mg) has more potassium than a medium banana (422 mg). The daily recommendation for adults is 2,000 mg. A medium white potato (926 mg), cup of pumpkin (505 mg), cup of cherry tomatoes (353 mg), cup of cooked spinach (839 mg) or 1/4 cup of raisins (309 mg) all deliver a good dose of potassium, which is critical for helping nerves transmit signals, muscles contract and cells maintain their fluid balance. 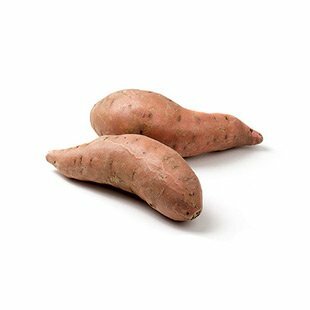 Recipes to Try: Sweet Potato Oven Fries and more healthy sweet potato recipes. How to Get It: Hate whole grains? Eat beans. Many people ask me if they have to eat whole-grain pasta, when they prefer white. The truth is, while you do miss out on extra vitamins and minerals (some B vitamins, vitamin E, phosphorus and potassium, to name a few) by opting for the refined grain, the biggest loss is the fiber (whole-grain pastas have two to three times the fiber per serving of regular white pasta). 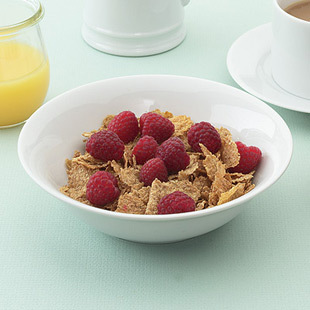 Fiber helps keep you fuller longer and may lower your cholesterol and reduce your risk of certain cancers. The recommended intake is 25 grams per day for women and 38 grams for men, yet most Americans are only getting 14 grams! But whole grains aren’t the only healthy foods that can add fiber to your diet. Beans provide a whopping 6 to 7 grams per 1/2 cup, while whole fruits and vegetables (juice doesn’t count!) and some nuts (pecans, pistachios and hazelnuts all deliver 3 grams in a 1/4-cup serving) are also great sources of fiber. Make beans tonight with one of our fast, flavor-packed recipes.